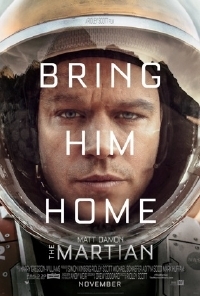 20th Century Fox has debuted the first global trailer for scifi thriller, THE MARTIAN. Based on the best-selling novel by Andy Weir, the film is helmed by Ridley Scott. THE MARTIAN features a star-studded cast that includes Matt Damon, Jessica Chastain, Kristen Wiig, Kate Mara, Michael PeÃ±a, Jeff Daniels, Chiwetel Ejiofor, and Donald Glover. The Martian was scripted by Drew Goddard. THE MARTIAN hits theaters everywhere November, 2015. I love Jessica Chastain so sign me up to see this one!